Families living in the New York City area have a nice array of kid-friendly getaways within a day's drive, with reachable destinations stretching from New England to Virginia. These popular suggestions can all be reached in six hours or less, based on the estimated drive time. One of America's best all-inclusive resorts for families, the 251-room Mohonk Mountain House overlooks sprawling grounds containing a pristine lake, 85 miles of hiking trails, a nine-hole golf course, tennis courts, stables, and a grand lawn where families can watch movies in the open air. Kids ages 4 to 12 can participate in the award-winning children’s program that includes guided nature walks, animal tracking, and fossil hunts. Rocking Horse Ranch is a popular, extremely kid-centric dude ranch in the hinterland of the Hudson Valley. Besides the usual ranch activities such as horseback riding (kids must be at least 7 years old) and hay rides, there's an enormous wagonload of other fun things to do, such as rock climbing, archery, swimming, tennis, and more. Talk about sweet. 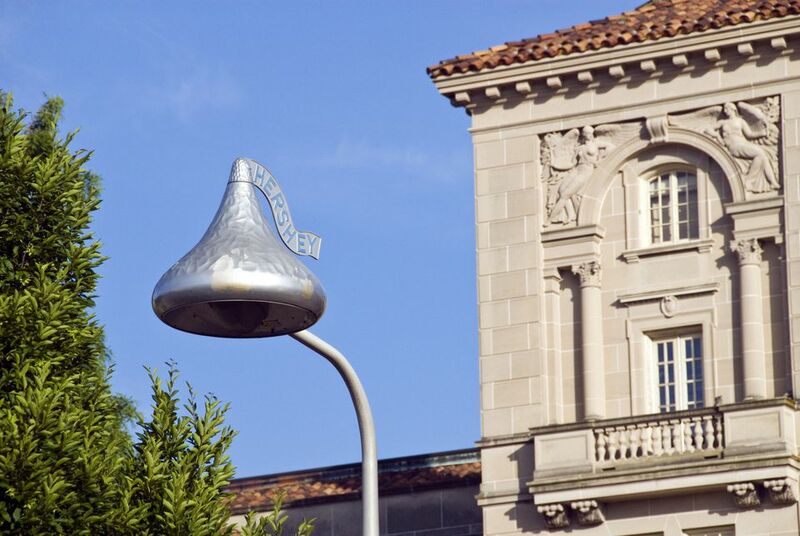 Hershey is a town where lampposts are shaped like Hershey's Kisses and the pervasive candy theme is, well, just chocolate icing on the cake. The big draw is Hersheypark, whose impressive array of roller coasters make it one of the best theme parks on the East Coast. The oh-so-grand Skytop Lodge in Pennsylvania's Pocono Mountains has been welcoming families since 1928. There's a huge choice of activities, including zip-lining, kayaking, archery, tennis, boating, biking, rock climbing, and hiking, plus an excellent supervised children’s program, and golfers get a bonus that’s virtually unheard of: Unlimited greens fees. For families looking for a lake getaway that's luxurious yet completely family-friendly, The Sagamore is a wonderful choice on spectacular Lake George in the foothills of New York's Adirondack Mountains. Vermont is justifiably famous for its spectacular foliage season. Southern Vermont often gets overlooked as a foliage hub, but we heartily recommend a drive along Route 7, which cuts a gorgeous path north-south through charming towns such as Manchester and the rolling farmland of the Green Mountains. For families looking for a relaxing Vermont getaway with a host of family activities, the Woodstock Inn & Resort is an excellent upscale choice. This four-season resort where family time means games and hikes, farm visits, and afternoon cookies and cider. Accessible by boat or by car off Virginia's Eastern coast over the Route 175 bridge, this small and serene island is the gateway to the Assateague Island National Seashore—a nature refuge that is the home of the herds of wild ponies made famous in the classic children's book ​Misty of Chincoteague. For families looking for a mountain getaway that's luxurious yet completely family-friendly, the all-suite ​Whiteface Lodge is a fabulous choice in the gorgeous Adirondacks of Upstate New York. The upscale Winnetu Oceanside Resort on Martha's Vineyard is wonderfully family-friendly, offering spacious accommodations, family-friendly dining, babysitting, and children's activity programs for kids ages 3 to 12 as well as for teens.